“Confines” is my graduation solo at Salpaus Further Education Circus department, first performed in graduation show “Kynnys” at Kaapelitehdas in Helsinki, Finland. It is a story about a person, struggling to find a way to see, accept and love oneself just as she is. 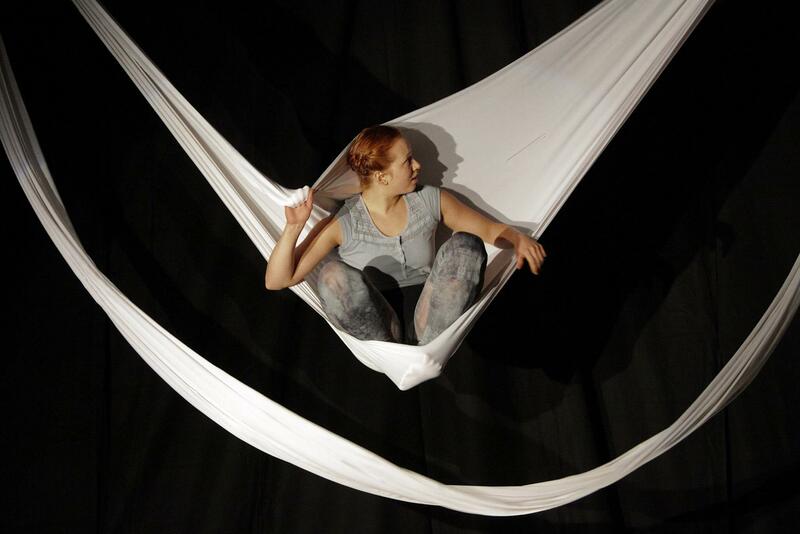 The act combines circus technique with visual arts and poetry to open the stage as a reflection of an inner world. Duration of the act: longer version 8 min 20 sec, shorter 6 min 30 sec. Elina is a woman who has had it all – the look, the money, the men, the luxury…until she realises she never had anyhting fully for herself. Deep inside her, as in every woman, lives the desire to sometimes just forget the rules and make her greatest fantasies come alive. Now it is time to take the lead of her life, to become an independent woman, fighting for her dreams. No matter what it takes and how silly it looks, she will keep her dignity and succeed. 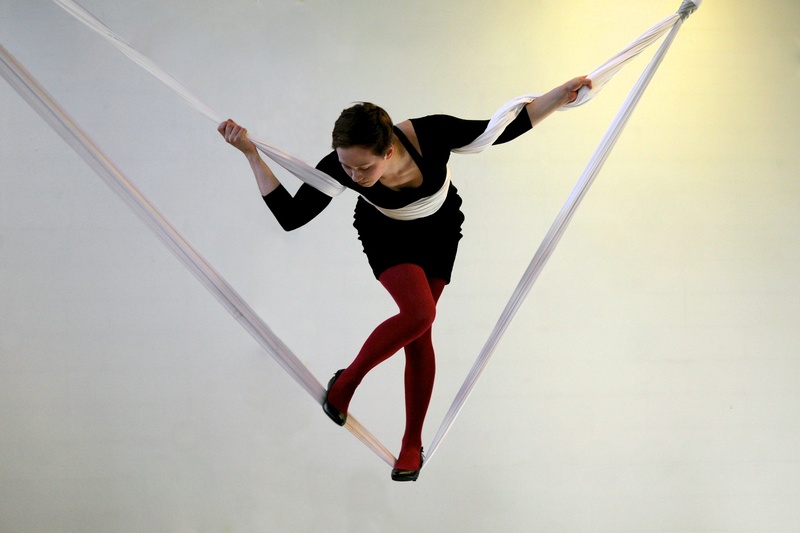 “Elina” is a street comedy on aerial hammock and high heals, lead by champaigne, dreams and quite a bit of nuttiness. Performed at Sibeliustalo in Lahti, Finland.